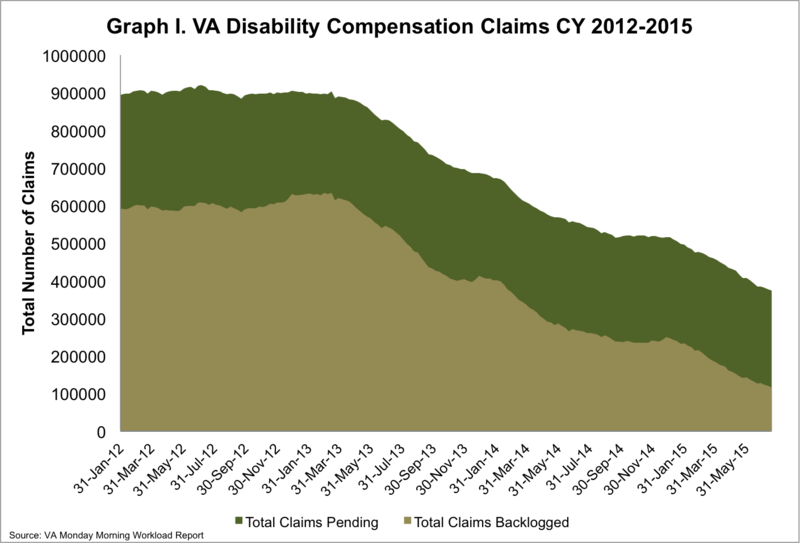 On Monday the VA reported that the disability compensation claims backlog1 decreased by more than 3,800 claims. 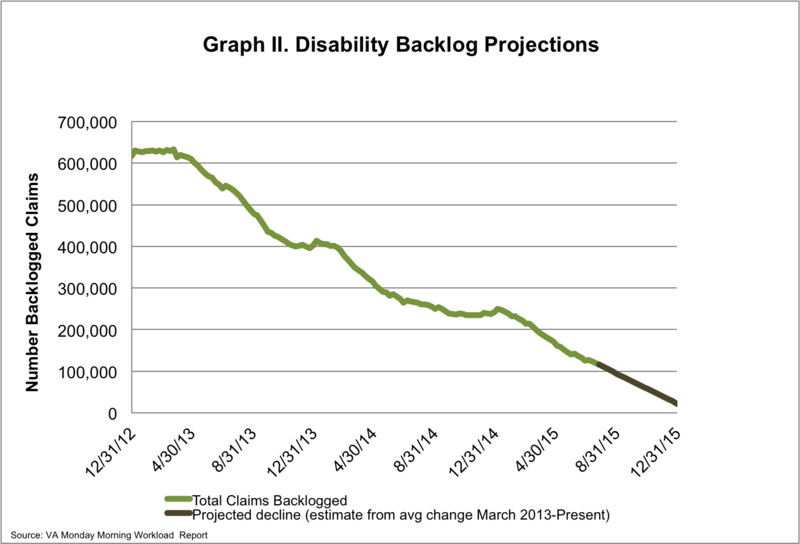 There are currently about 116,000 claims in the backlog, meaning that they have been pending for more than 125 days. Since last week the total number of pending claims has decreased by more than 3,200, meaning there are currently more than 373,000 pending disability compensation claims overall. 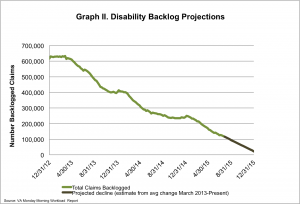 Those in the backlog make up about 31% of the total number of claims. To meet the deadline to end the VA backlog by the end of FY 2015, the VA must reduce the backlog by at least 2,763 claims per week. 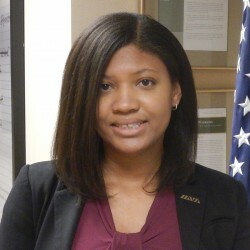 The VA has reduced the backlog by almost 82% since March 2013. Since that same time, the VA has processed 4,175 claims per week on average. 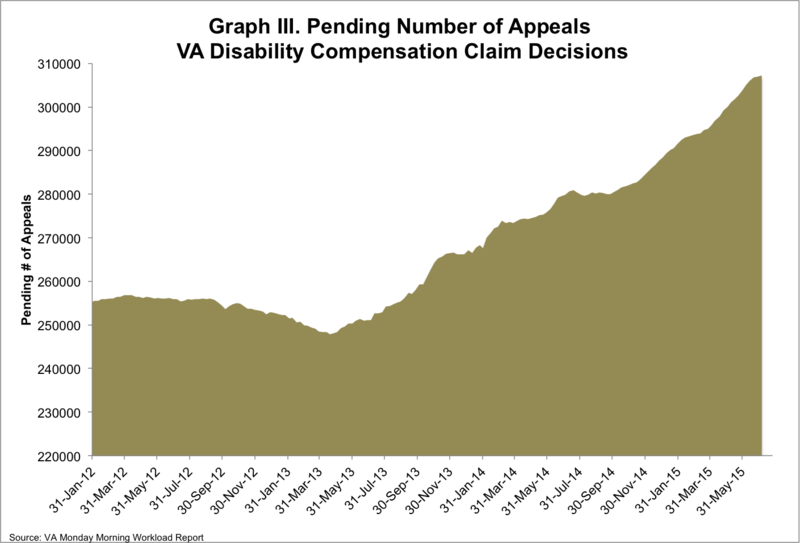 Unfortunately, the number of appeals pending at the VA continues to rise. 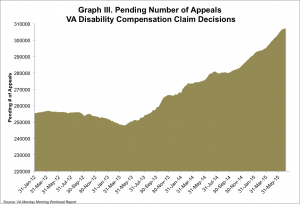 There are more than 310,000 disability compensation claim appeals currently pending at the VA.